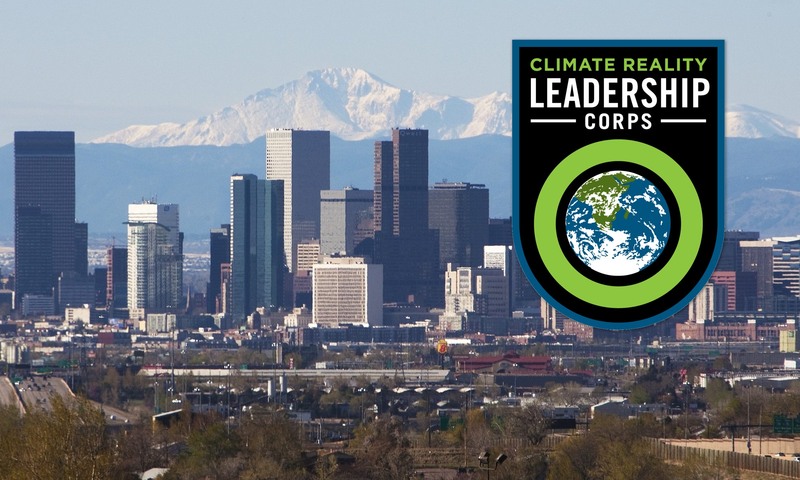 Last week, I returned from the Climate Reality Project Leadership Corps training in Denver, Colorado. Suffice to say, I wasn’t astonished to learn the Earth is warming due to the increase in CO2 emissions from human activity. I’ve been aware of the science investigating this phenomenon for most of my adult life and have become increasingly worried by the news that climate change is happening at a much faster rate than previous models predicted, and that its effects were turning out to be even worse than previously thought. But my concerns about climate change has only been exceeded by my frustration with an unrelenting science denial machine that’s been operating since the 1950’s. Over the years, I’ve won some arguments, but I’ve also lost some friends. I needed a better way to discuss climate change without alienating people. 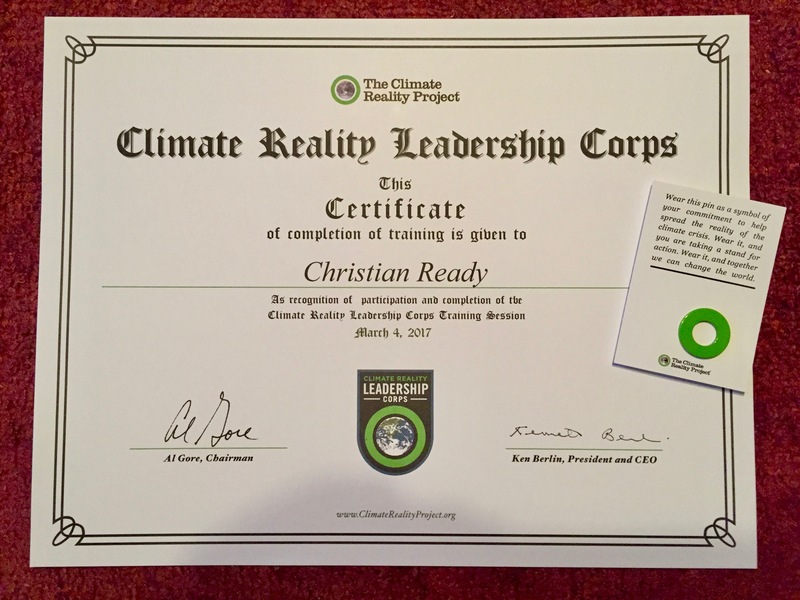 I knew that the Climate Reality Project, led by Vice President Al Gore, offered training, and that I really should apply for training should the opportunity arise. And then the 2016 election was won by the candidate who insists climate change is a hoax, facts be damned. 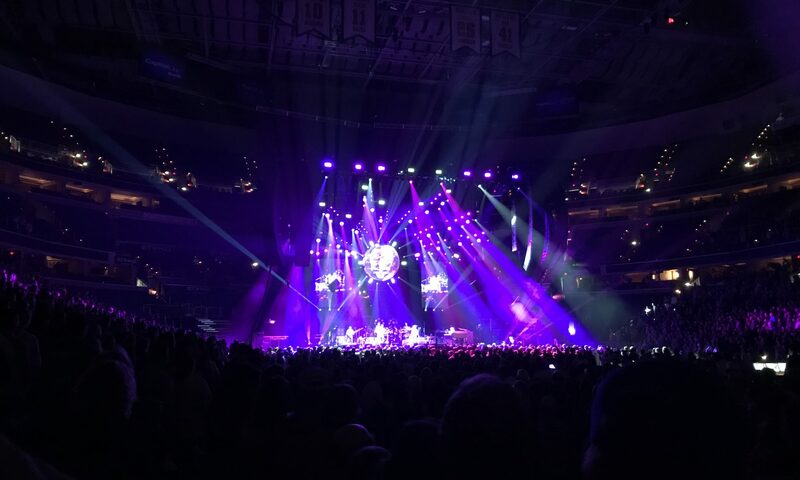 Forget winning the argument, it was time to learn how to win the conversation, so off to Denver I went. Here are some takeaways from my trip. Though I’ve flown into Denver International Airport countless times, this was the first time I’ve ever actually been to the city of Denver itself. I was treated to a lovely view of the Rocky Mountains, which was utterly devoid of snow. The Rocky Mountains, as seen from my hotel room in Denver, March 1st 2017. Note the lack of snow. It turns out, the greater Denver area has been largely devoid of snow this winter. What’s more, temperatures reached the high 60’s and even low 70’s during the day. This is a problem, considering that early March is supposed to be Colorado’s peak snow season. Our training room in the Colorado Convention Center. 1001 Climate Reality trainees ready to get after it. On the first day of training, Vice President Gore delivered his full presentation titled The Climate Crisis and its Solutions. It’s a fitting title, since there are, in fact, real ways to solve the climate crisis. I’ll save the details of the talk for later, but Gore’s overall message was much more hopeful and optimistic than I was expecting. Vice President Al Gore discussing the climate crisis as a public movement that will ultimately be won. Gore compared the climate movement to other social movements such as civil rights and marriage equality. Once the argument comes down to a simple choice between right and wrong, the answer is a foregone conclusion. 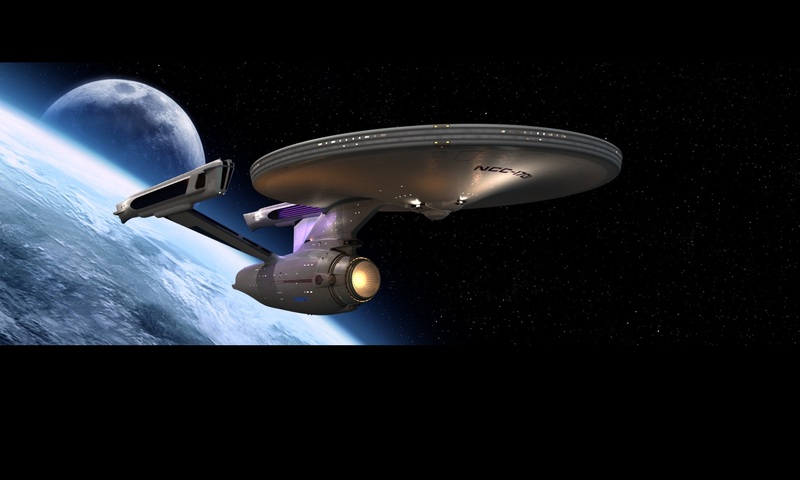 Make no mistake, some of the damage caused by catastrophic climate destabilization (my term) will not be undone. And we’re heading for the worst of the irreversible tipping points. But momentum towards addressing the climate crisis is building, even as time to address the worst of its effects is running out. Coal is getting killed by natural gas, not by regulations. And oil & natural gas are getting crushed by wind and solar. That’s not to say we should be thrilled to see coal miners, frackers, and oil workers out of a job. That would be bad for our economy, bad for society as a whole, and certainly a horrible situation for the families affected. But it doesn’t have to be doom and gloom for those workers and their families. A recent Harvard Business Review study found that these workers could be retrained for a paltry $180 million to $1.8 billion (depending on best and worst-case scenarios) for related jobs in the solar industry for an average 11% increase in pay. Think about that for a moment. About 150,000 workers could be retrained for better paying clean jobs for less than the cost of a single B-2 bomber. And these jobs won’t increase the rates of black lung disease, which are putting a burden on our expensive health care system. Although the science of climate change is well-known and long settled, it’s also become increasingly apparent that facts don’t change most people’s minds. Everyone is human and clings to their preferred narrative, especially when that narrative permits people to go about their business and not worry about the consequences. So presenting the science isn’t enough. There needs to be a personal story to help people understand the problem on a real human scale. That’s why we were given some pro tips on body language and personal storytelling by Ngiste Abebe, co-founder and COO of Aulenor Consulting. There was a lot packed into her presentation and it’s clearly something I’ll need to do some more research on to become a better presenter as well as just better at ordinary conversations. We were treated to a sneak peek of the upcoming follow-up to 2005’s An Inconvenient Truth, fittingly titled An Inconvenient Sequel: Truth to Power (alas, we weren’t permitted to take pictures). 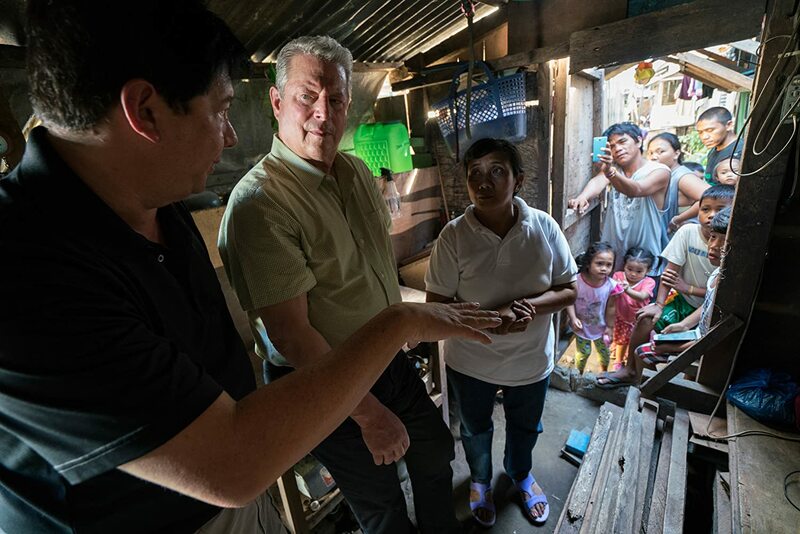 The clip was followed by a discussion with Al Gore, co-director John Shenk, and co-producer Diane Weyermann of Participant Media (the sequel features two directors and two producers for extra awesomeness). It was a fascinating discussion of what makes a good story and on finding the right blend of science and narrative. Perhaps the biggest revelation was that at the end of the 2005 film, the only call to action available at the time was for people to change their light bulbs. Now there’s a lot more people can do. I was told by more than one staff member that a lot more people came to this training than was expected. Evidently, the election galvanized a lot of people into showing up, and they brought their A-game. I met people from exotic places such as Malaysia, India, Pakistan, Madagascar, Indonesia, Peru, Italy, New Jersey, and Maryland (in fact, two at my table were fellow Marylanders, one who’s probably a 20-minute drive from my home). Their ages ranged from 6 to 84, and all of them were motivated and eager to learn. Each of our tables was shepherded by a Climate Mentor, a volunteer who’s been active in Climate Reality for a while. While I was impressed by the mentors, there’s not a question in my mind that I had the best. 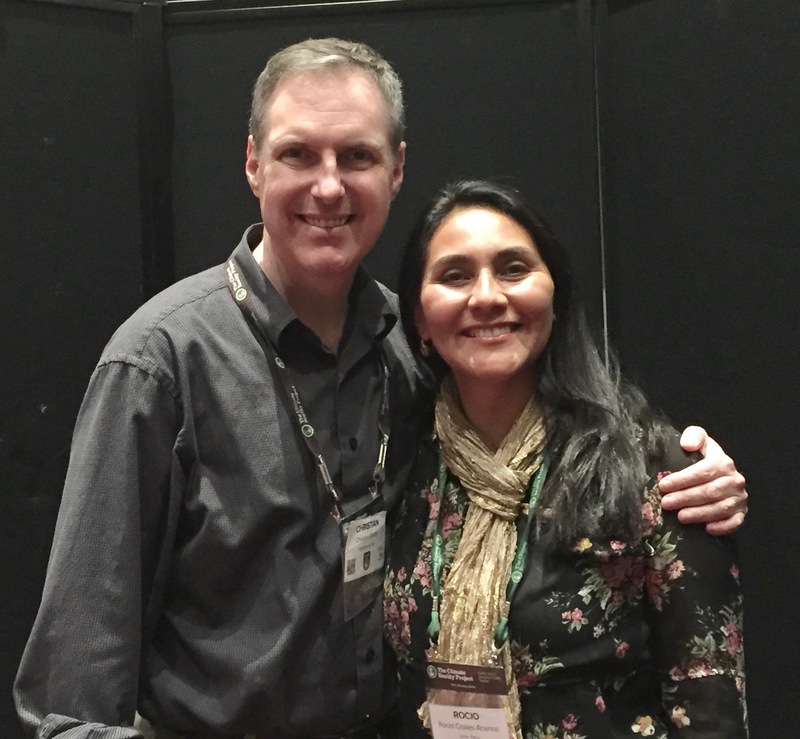 Me and Rocio Criales Ananos, my mentor at Climate Reality. She’s gangsta. Rocio Criales Ananos had a successful business in her home town in Peru, but decided that leaving the world a little more habitable for her son and future generations would be a better use of her time on Earth. She became a Climate Reality Leader in 2014 and has been killing it ever since. 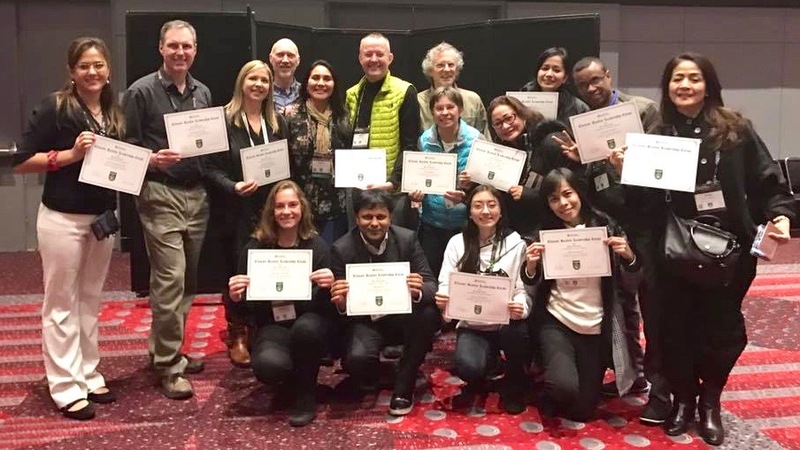 Not only has she given many, many presentations, she organized her own local 24 Hours of Reality event which included a concert, and was recognized as one of the top Climate Mentors by Al Gore during his opening remarks. Rocio was amazing. Anything we needed, she was there. As was her 12-year old son, Orion, whom I had the pleasure of meeting. Orion was one of many young people at the training and Rocio has every right in the world to be proud of him. None of this would have been possible without the help from my generous GoFundMe contributors. Thanks to you, I have a way to present on the topic and help raise awareness. There’s a lot of work left to do, but I’m grateful for the opportunity to do it. I have access to the Climate Reality slides and am cleared to give the Climate Crisis and its Solutions presentation to the public. Now I gotta schedule some presentations, write a letter to the Editor, talk to some elected officials, and tell a story. If you’d like to have a presentation given to your group, either in person or online, I’d be more than happy to help. If I can’t give the presentation, I can certainly help you find a local Climate Reality Leader who can. Drop me a line and let’s talk. We have a lot of work to do and a short time to do it. I was born just in time to say that I am a child of the Apollo era (except for arriving too late for Apollo 11, but I really don’t mind as it beats the alternative). 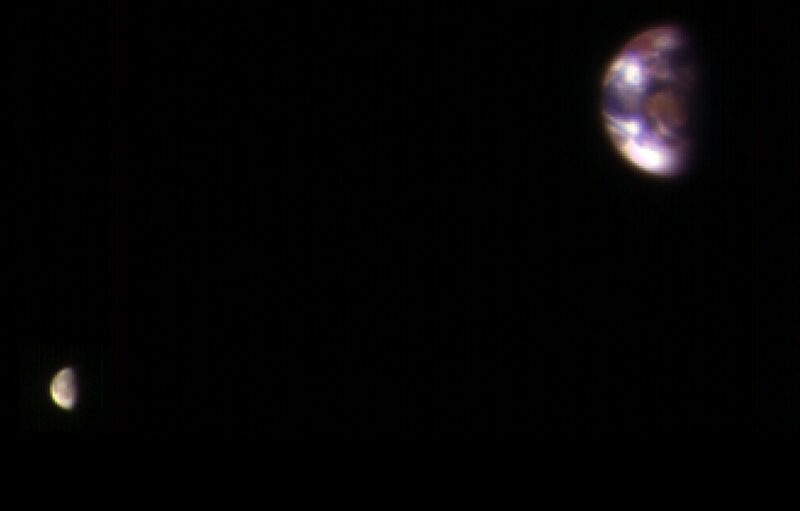 Among my very early memories are those of the tail end of the program, and ultimately the very end with Apollo 17 in 1972 (1)Sure there was Apollo-Soyuz but it was more of a coda than an end. 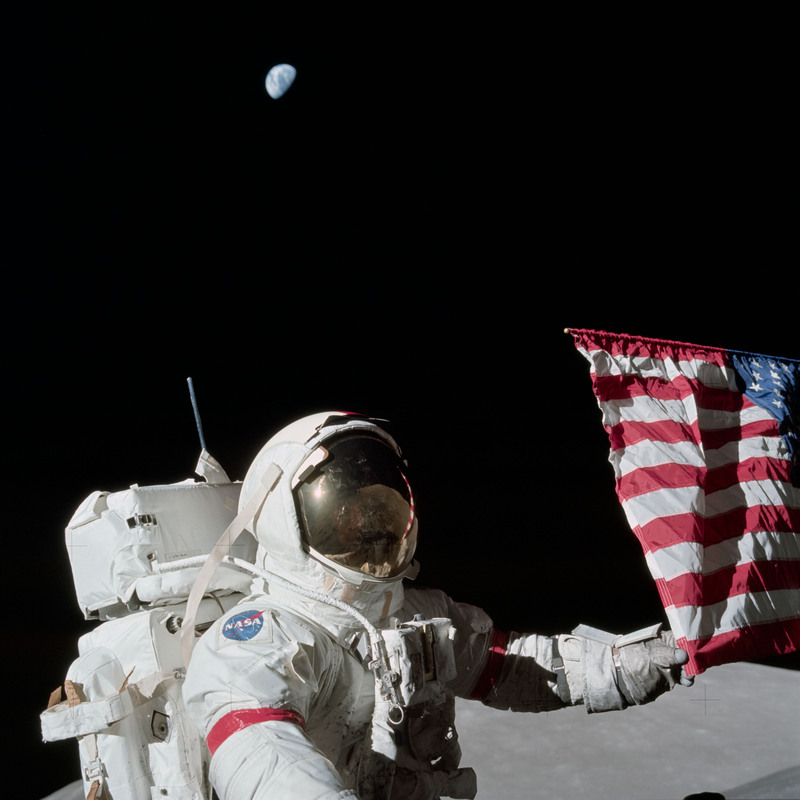 Until Apollo 17, every NASA astronaut was a current or former military test pilot. But this final mission included NASA’s first scientist-astronaut, Harrison “Jack” Schmidtt, a geologist. I love the genuine excitement in Schmidtt and Cernan’s voices as they find the orange rocks they were hoping to find in the Taurus–Littrow valley. 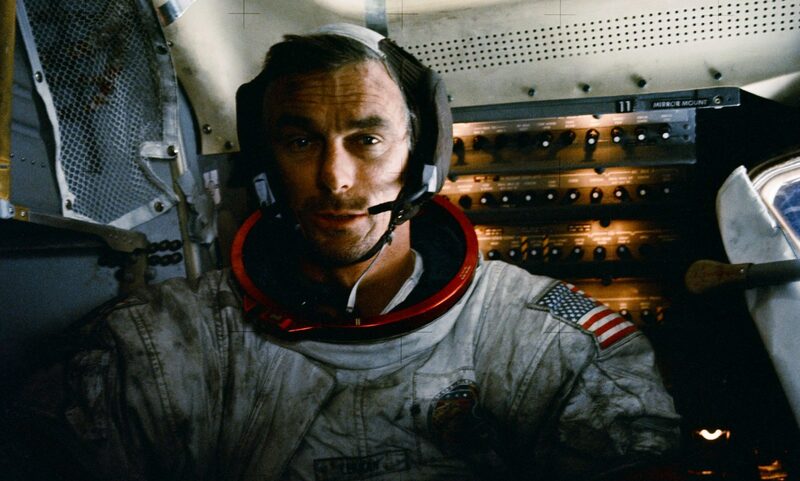 Eugene Cernan was the last man to ever walk on the Moon; the last human being to ever walk on another world. And now he has left this world one final time.